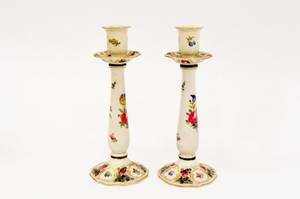 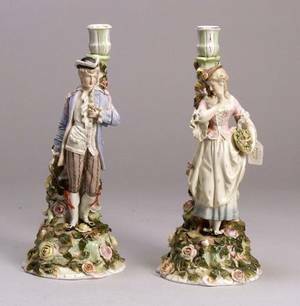 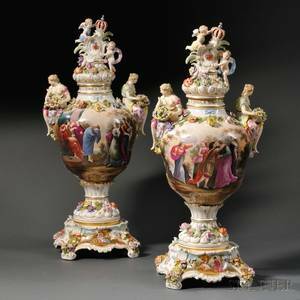 Pair of Dresden porcelain hand painted floral decorated candlesticks. 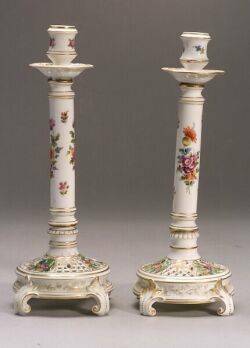 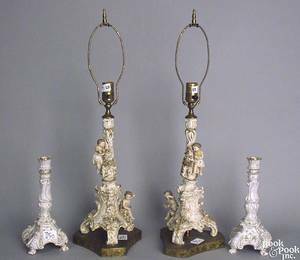 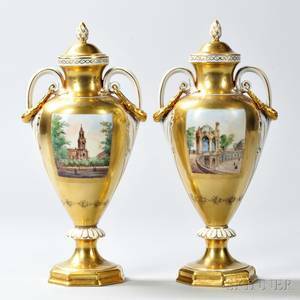 Each with candle holder above wax guard with scalloped and gilt accented rim above tapered shafter to circular foot with scattered reticulation. 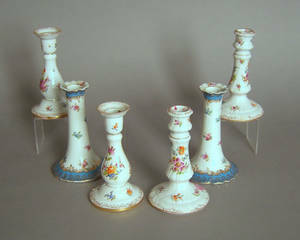 Each decorated all over with hand painted brightly colored flowers and leaves. 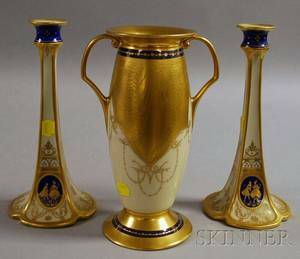 Both marked on bottom "Dresden Saxony". 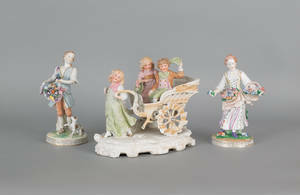 Height 9.75". 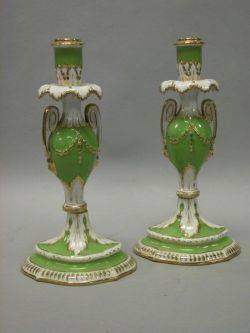 Pair of Dresden Porcelain Apple Green and Parcel Gilt Candlesticks.